I will keep my consumption of fruits, nuts and tubers very moderate because I am trying to lean out. Need more info? Check out this page to learn more about the Paleo diet. 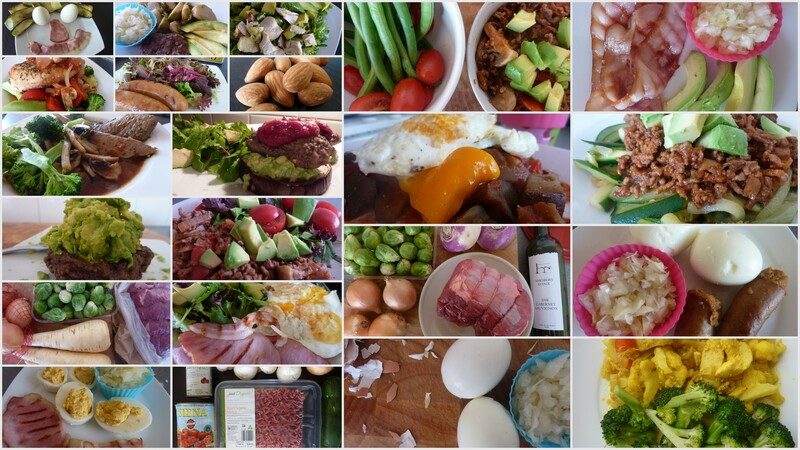 Read more about my first and second attempt at completing a 30-day paleo challenge! I eat part of one of these almost every day: http://www.lindtusa.com/product-exec/product_id/44/category_id/5/nm/Excellence_85_Cocoa_Bar. Good antioxidants, no soy lecithin, and less sugar than a serving of carrots. It also feels indulgent, which is not to be underestimated! Thanks for suggesting the Lindt Dark chocolate! I am always on the lookout for new items to try and will be giving this one a whirl for sure! Thank you for your blog, it has so many great recipes on it. I am looking forward to mimicking some of them! Though I am new to this diet, and it seems like it would be fairly easy to do, except i realize i have been brainwashed, and i fear fats! I just can not wrap my brain around eating bacon instead of turkey and oils and such. I want to be sure i don’t over do it in certain areas. I haven’t been able to find out the recommended amount of grams needed per day. Anyway, thank you for posting all your yummy foods and good information! Thank you for your comments and congrats on giving Paleo eating a try. Don’t be afraid of fat, I know it can seem illogical at the beginning, but your body needs fat. I would like to know what foods you ate, not only the nutritional analysis. Also, are you trying to lean out or put on muscle mass? What are your goals? Do you have any health concerns? Your fat intake only corresponds to 35 % of your calories, which is definitely not too much, although your meal seems a bit high in calories and carbs, but again that depends on your personal objectives. Please give me more details and I will try to help you. You can email me at adietitiangonepaleo [at] gmail [dot] com.